Tag archives for THe Premier Balanced Distribution Inc. 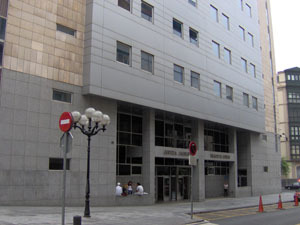 The Appeal Court in Bilbao has upheld last year’s ruling by the Court of First Instance 11 in Bilbao and determined that mortgage loans granted by Surrenda Link Mortgage (SLM) to invest with Premier Group should be declared null and void. deprived the claimants of any guarantees, which the current legislation envisages to ensure there is complete information with regards to the evolution and situation of the financial entities so that, in this respect, they can limit or prohibit those practices or deals that increase the risk of insolvency or lack of liquidity, and reinforce the resources required to attend to those risks, thus avoiding harm to applicants…Preamble of the Stock Exchange Act of 26/1988). The Appeal Court goes further than the original ruling and fully corroborates and endorses the allegations of the claimants that the widely publicized Inheritance Tax benefits are false, emphasizing that such conduct is deceitful. Finally, the higher Court reaffirms the allegation by the claimants that they had no financial experience, a fact not challenged by SLM. SLM’s choices are to accept the ruling and not interfere in the cancellation of the mortgage loans or explore filing an exceptional appeal with the Supreme Court, a possibility only accepted in very specific cases. Litigants expressed their satisfaction over the performance of their lawyers Lawbird Legal Services. tagged in Michael Richardson The Premier Group, Premier GRoup, SLM Holdings Funding Nº1, Surrenda Link Mortgage Holding, THe Premier Balanced Distribution Inc. The previous post published on ERVA explains that Michael Richardson, founder of the above 2 companies, does not hide the fact his 2007 company -The Premier Group (Isle of Man) Limited- is the successor of the BVI-based Premier Balanced Distribution Inc. But now, the Financial Supervision Commission has confirmed that not only did one take over from the other but that they are, in essence, the same firm. The BVI company’s website was www.thepremiergroup.biz, the same as the 2007 company. The email address info@thepremiergroup.biz, used by the previous company, is currently in use by the 2007 company. Until December 2007, the 2007 company used the BVI company’s telephone and fax numbers: +44 (0) 1624 838110 y Fax and 44 (0) 1624 836785. The 2007 company used the green BVI company logo/branding (above) on its website until…May 2010: that’s 3 years after it was incorporated. This is the logo used in the 2004 promotional literature that CAINS says “has nothing to do with its client”. The Daily Telegraph, among others, confirmed in 2005 that The Premier Group was based in…the Isle of Man. Nothwithstanding that Cains acts as Isle of Man legal adviser to the The Premier Group (Isle of Man) Limited, we shall act objectively and our statements shall take into account all circumstances which may prove to be favourable as well as those that may cause harm to any of the parties of the proceedings previously stated. CAINS is employed by the 2007 The Premier Group (Isle of Man) Limited and were also the appointed counsel for the BVI company and they therefore should and could have known that their statement is at best inaccurate and misleading and at worst, fraudulent. This breach constitutes serious professional misconduct and failure to comply with the principles, rules and regulations of the legal profession in the Isle of Man.